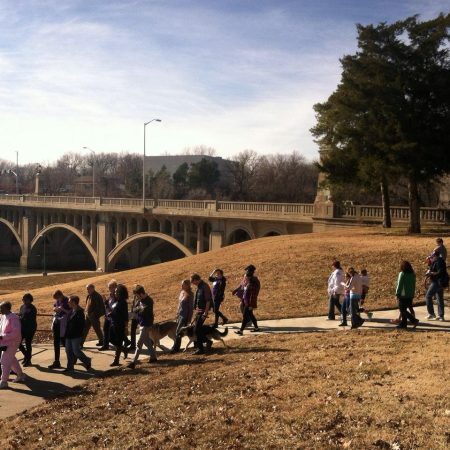 BEGIN: Martin Luther King Jr. Square, Swope Parkway & Woodland Ave.
Join the Heartland Conservation Alliance on a restorative walk along the banks of beautiful Brush Creek. Enjoy the company of others and the stillness of nature as we reflect on the work of Dr. Martin Luther King Jr. The 2.5 mile walk will be led by a trained naturalist. Parking is available at MLK Jr. Square Park. A shuttle will be provided back. Please dress for outdoors and wear comfortable walking shoes. All ages and abilities are welcome to attend as are dogs on leashes. Refreshments will be served at the Bruce R. Watkins Cultural Heritage Center. « Starlight Indoors 2019: Sister Strikes Again!